Our daughter is almost seven years old. I have heard others say that this is around the age she will begin to question more about her adoption, her birth family. And I have seen it. With the understanding of a young child, she knows the story of her adoption and is very proud of her ethnic heritage. But I know the day is coming where she will wrestle with her identity. In our ladies’ Bible Study last week we learned about shifting control of our past. For some this may be family issues, for others it may be facing personal sin or the sins of others. Isaiah 7:14 and Matthew 1:23 speak of Immanuel, “God with us.” Coming face-to-face with Immanuel makes me ask the question, was God there even in the yucky parts of our past? And if so, how does this change how I view the pain from the past? My conclusion is this: He was there, He knows all. And so when we come to Him with our pains from or questions about the past, it’s not new to Him. Romans 8:28 also tells us that He alone draws on the canvas of our lives and uses it for a greater good. Like the backside of a tapestry, we may see only a mess, but God sees the big picture, a masterpiece. And like He did with Paul, God can us our past as a platform for His greater purpose. And so I am comforted with the knowledge that the circumstances of our daughter’s life are part of a bigger picture. One that God has been painting since the beginning of her life. He knew her in her birthmother’s womb, and she is fearfully and wonderfully made. He has great plans for her. She is His masterpiece. Though she knows Jesus, I look forward to introducing her to Immanuel. What did people forget to tell you about adoption? What did they omit or conveniently not tell you before you adopted or relinquished your child? It’s an interesting read. Check it out here. Scroll down past the comments and read what others have shared. What are your thoughts? We’d love to hear from you. We are thrilled to announce that Hill Country Bible Church NW is now offering, through Fields of Grace and Abba Fund, a financial assistance program to assist members of HCBC NW in their desire to adopt. If you or someone you know would benefit from the Adoption Fund, please contact Fields of Grace at fieldsofgrace@hcbc.com for more information. Research shows that the number one reason people don’t adopt is the perception that it’s too expensive. And while it can be expensive (today, the average private or international adoption costs between $20,000 and $30,000), we feel that if God is calling you to adopt, He wouldn’t do so without also providing financially. The church has been very generous in a seed donation to the fund. With the addition of several other donations our fund is beginning with $10,000. We are very excited as this level of funding will quickly assist couples that are in the process of adopting. 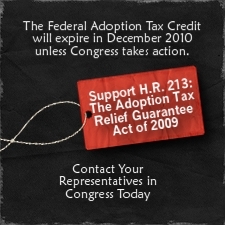 To start, the Adoption Fund will consist of granting short-term, interest-free loans. Let me talk for a second to both the couples who feel that God is calling them to adopt, as well as those who would potentially contribute to this fund. I believe that God has a role for both of you to fulfill His will to care for the world’s orphans. Let me start with the second group first. While we are starting with a significant amount of funding, the ongoing growth of the fund will depend on giving from people like you. While you may not personally be called to adopt, it may be that God is calling you to help a young couple who IS called to adopt by giving to this fund. Please know that we in no way want this to detract from your regular church giving. This should be “over-and-above” giving as you feel God leading you. You might choose to make a one-time donation or you may choose to make it a part of your regular giving. Now, for those of you who DO feel God is calling you to adopt — we want to hear from you! This fund will be successful if the money in it is out working to complete adoptions. Please contact us and we’ll find time to sit down with you to hear your stories, to pray with you and walk you through the process. We have an application that you will be required to complete, along with personal references, that will be sent directly to Abba Fund. We will not have access to any of your financial information – that will all be handled by Abba Fund and they will make a recommendation to us. You will work with Abba Fund to determine a loan repayment timeframe, so effectively any contribution to the fund is a “gift that keeps on giving” as more and more families utilize the fund. Finally, let me also point out that there are a number of ways to adopt for little or no cost, including through the State of Texas and local, Christian agencies such as Arrow Child & Family Ministries. If you’re interested in this approach, please contact us as there are many families at HCBC that have already or are in the process of adopting in this way. Thank you and thank you to the regular givers to Hill Country Bible Church. It is through your regular giving that we’ve been able to launch this fund. David and Nancy Redding are members of Hill Country Bible Church and just a few years ago had no plans to adopt. But God worked in the collective heart of their family and they recently brought home two little boys from Ethiopia. Thank you, David and Nancy, for sharing your adoption experience with us.